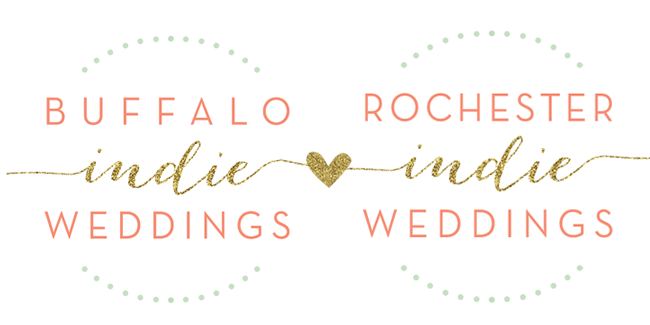 Buffalo + Rochester Indie Weddings: Helpful hints on branding LGBT Wedding Parties! I've been reading a lot recently about LGBT couples having trouble giving their wedding parties titles. 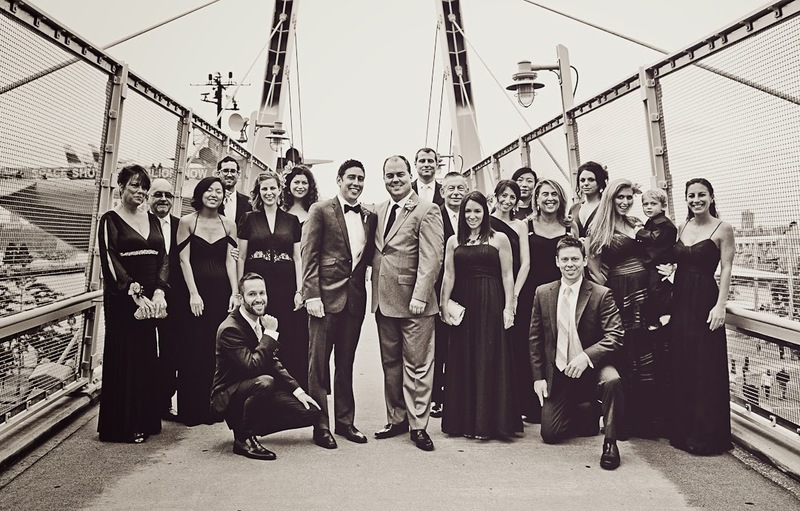 For instance, if a bride includes men in her wedding party, they are neither groomsmen nor bridesmaids. This certainly applies to straight couples taking the less traditional route, too. I am of the mindset that I would want my brother on my side of the wedding party because he is one of my relatives. If I were to marry a man, I wouldn’t want him to be on that side of the party for gender’s sake. Because, to me, that just doesn’t make sense. Lesbian couples like to call them “Broomsmen,” but for some that just seems like you are removing the male from a straight wedding and replacing it with a female for a lesbian wedding. It doesn’t feel like a unique and personal thing, it’s like trying to fit into a mold that doesn’t need to exist! Our suggestion is simple; make it your own! 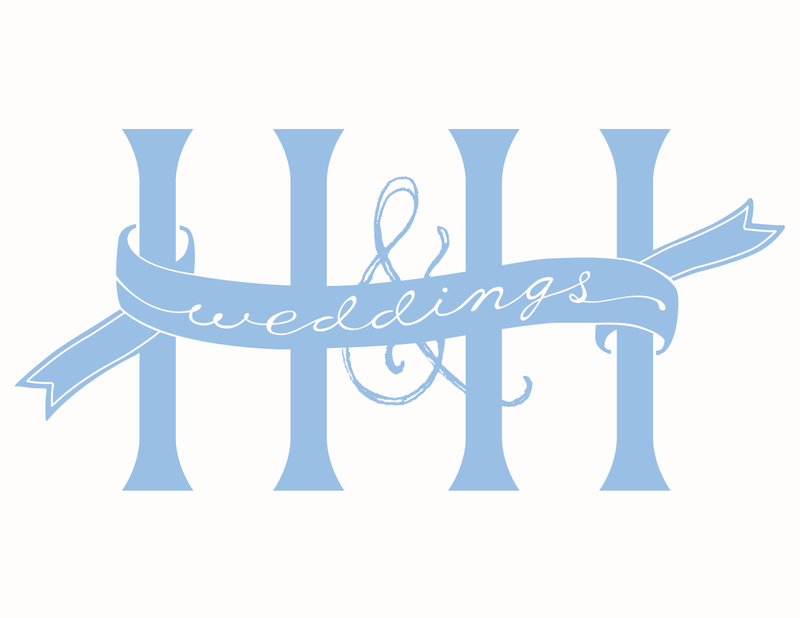 Your wedding day should feel special, and completely your own. Calling them "Courtney's Crew" or "Ben's Brood" makes it fun and personal. 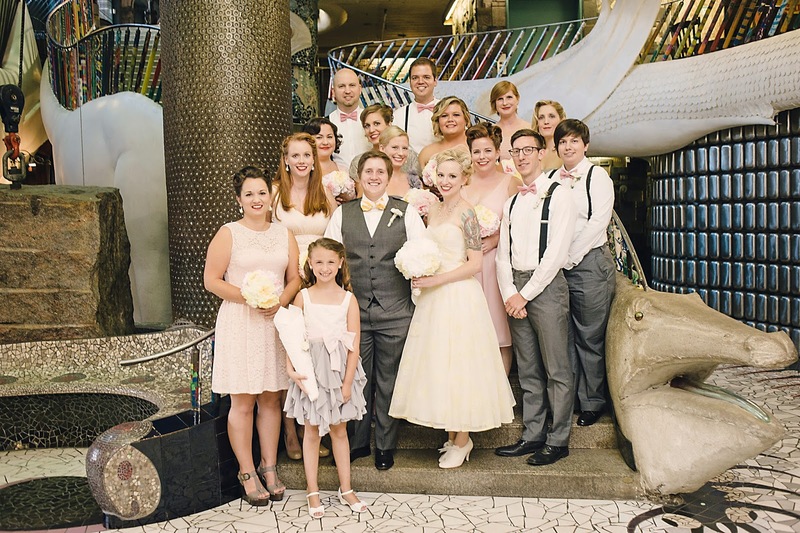 If you are going for a more formal feel, calling the party "Honorary Attendants" or even just "The Wedding Party," keeps things neutral, but structured. Ultimately, these are the people who want you to be happy and surrounded by love. They probably don't really care what you call them, as long as you are content with your wedding.